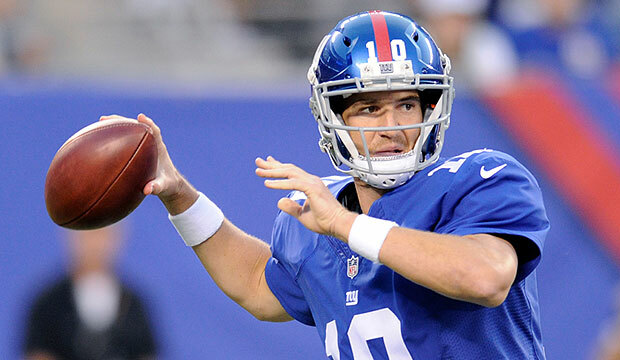 Giants quarterback Eli Manning is in some hot water after accusations by sports collectibles company, Steiner Sports, stating the quarterback gave them memorabilia he claimed to be game-used. The email Manning sent asked a Giants equipment manager to give him helmets that could pass as game-used so he could fulfill his obligation to provide Steiner with memorabilia. Along with the email, Manning provided 200 pages of documents pertaining to the case. It also appears the Giants were aware of this, as the lawsuit claims they were aware of these emails and subsequently deleted them. A few former Giants players are also involved in this dilemma, including Osi Umenyiora and Tiki Barber. The trial is set to begin Sept. 25, but reports are it's unlikely Manning would be subject to criminal prosecution. I hope this blows up and becomes an insufferable national story. But then again, this doesn't involve the Patriots, so it probably doesn't matter.